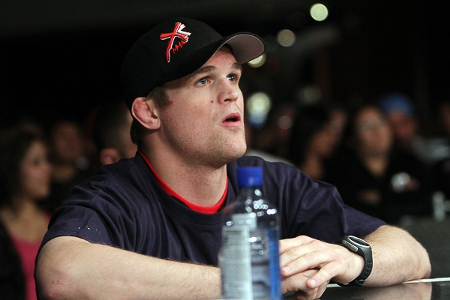 Rafael Dos Anjos steps in for Evan Dunham, as the latter pulls out from his UFC 132 bout against George Sotiropoulos. UFC lightweight fighter, Evan Dunham, has pulled out from his UFC 132 bout against George Sotiropoulos due to an undisclosed injury. That said, the promotion has tapped Rafael Dos Anjos to take his post at the event. His withdrawal from the match is considered a setback, while he’s still regarded as a bright lightweight prospect despite his 0-2 record. Evan Dunham won his 11 professional fights before dropping a split decision to Sean Sherk last September, followed by a first-round TKO loss from Melvin Guillard. UFC 132 is set to take down at MGM Grand Garden Arena in Las Vegas, featuring a bantamweight title match between Dominick Cruz and Urijah Faber.